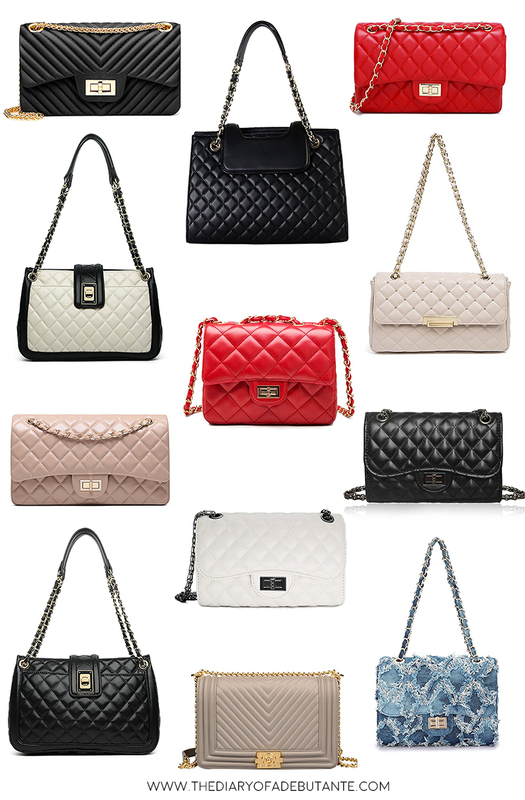 Of all the designer handbags, I’ve gotta say that Chanel takes the cake for me (although Chloe is a close second). If I had a couple thousand dollars to spend on a handbag, I’d spent it on a classic black Chanel flap bag in a heartbeat. However, I unfortunately do not have thousands of dollars to spend on a handbag, so look-alikes are the next best thing. I’ve rounded up 12 of the best Chanel dupes on the internet in today’s post! Click anywhere on the collage for item details or scroll down below for more detailed information on any of these uber affordable Chanel dupes. If you have trouble viewing any content, just disable your ad blocker. I promise my site won’t spam you!